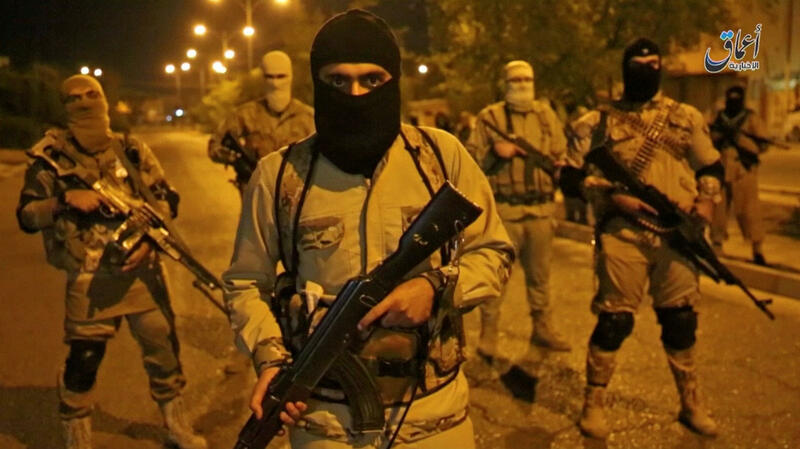 TAMPA, Fla. -- A counter-propaganda program aimed at thwarting the Islamic State of Iraq and Syria (ISIS)’s recruiting over social media is plagued by incompetence, cronyism and skewed data, an AP investigation has found. But internal documents and interviews with more than a dozen people knowledgeable about WebOps suggest a program that appears aimed more at enriching contractors than thwarting terrorism. The people interviewed by the AP requested anonymity because they are prohibited from speaking publicly about WebOps due to the sensitive nature of the work and because they fear professional repercussions. WebOps relies on dozens of Arabic-speaking analysts who scour Twitter and other social media platforms for people whose postings suggest they are vulnerable to the ISIS’s siren call. Using fictitious identities, the civilian analysts then reach out to these potential recruits and urge them not to join the extremists. But current and former WebOps employees cite examples of analysts who had scant experience in counter-propaganda, couldn’t speak Arabic fluently and had so little understanding of Islam that they were no match for the ISIS’ online recruiters. The program ran into problems at times when the online targets noticed the lack of linguistic skills, the employees said. “One of the things about jihadis: They are very good in Arabic,” said an Arabic specialist who previously worked on WebOps. Four current or former workers told the AP that they had witnessed WebOps data being manipulated to create the appearance of success and that many other employees were aware of the problem. Yet the companies carrying out the program for Central Command have dodged attempts to implement independent oversight and assessment of the data. The information operations division that runs WebOps is the command’s epicenter for firing back at the ISIS’s online propaganda machine, using the internet to sway public opinion in a swath of the globe that stretches from Central Asia to the Horn of Africa. Early last year, the government opened the bidding on a new counter-propaganda contract - separate from WebOps - that is worth as much as $500 million. Months after the AP started reporting about the bidding process, the Naval Criminal Investigative Service told AP it had begun an investigation. NCIS spokesman Ed Buice said the service is investigating a whistleblower’s “allegations of corruption” stemming from how the contract was awarded. The WebOps program is run by the Alabama-based Colsa Corporation, which uses specialized software that mines social media accounts. Colsa referred questions about the program to Central Command. Central Command spokesman Andy Stephens declined repeated requests for information about WebOps and the new contract, and did not respond to detailed questions the AP sent on Jan. 10. The whistleblower’s complaint alleges multiple conflicts of interest that included division officers being treated to lavish dinners paid for by a contractor. The complaint also alleges routine drinking at the office where classified work is conducted. The drinking was confirmed by multiple contractors, who spoke to AP and described a frat house atmosphere where happy hour started at 3 p.m.
One of the most damning accusations leveled by the whistleblower is against Army Col. Victor Garcia, who led the information operations division until July 2016, when his tour at Central Command ended and he moved into a new military assignment. The whistleblower alleges that Garcia used his influence to steer the contract to a team of vendors that included a close friend’s firm. Garcia, a West Point graduate and decorated officer, denied any wrongdoing, describing the complaint as “character assassination.” Garcia, who moved to his new post two months before the contract was awarded, said he scrupulously avoided any discussions about the contract with his friend and his former deputy, who served on the five-member panel that reviewed all of the bids. The whistleblower, a manager at a company that lost its bid for the contract, told AP he was investigated for attempting to accept kickbacks on an unrelated contract. He denied the allegations, made four years ago, and no charges have been filed. The personal bonds underpinning the new contract and the ongoing WebOps work illustrate challenges awaiting President Trump. He has promised to boost military spending by tens of billions of dollars while also cutting waste at the Defense Department and ensuring that contractors aren’t getting sweetheart deals.